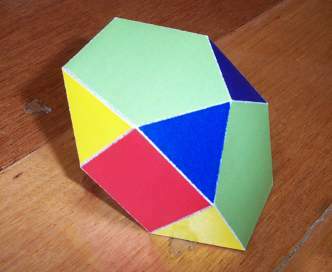 One of the 92 Johnson solids, which are non-uniform convex regular-faced polyhedra. See its dual here. This model was made from a single connected net, printed on one sheet of white A4 paper with a colour laser printer.